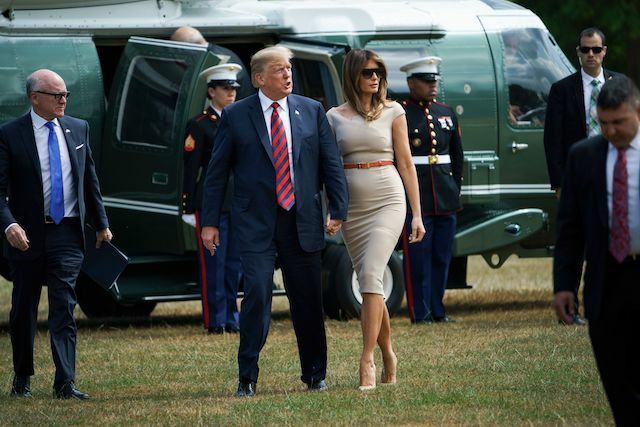 Melania Trump looked ready for success when she hit London Thursday in a gorgeous taupe-colored dress with President Donald Trump. 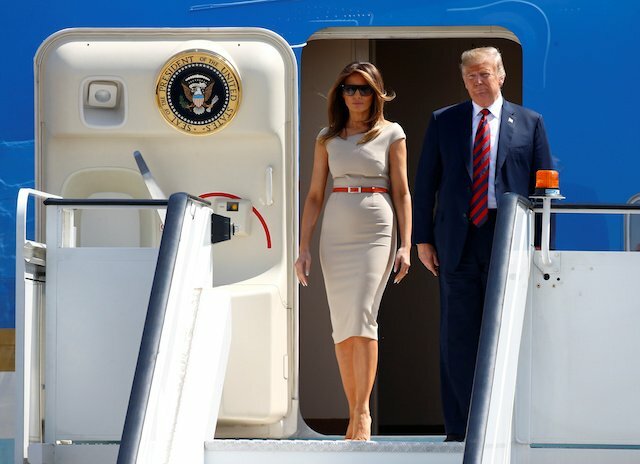 The first lady showed off her incredible fashion sense in the short sleeve tapered dress as she and Trump descended the steps of Air Force One holding hands at Stansted Airport in Britain. She completed the fantastic look with loose hair, sunglasses, a bright red belt and taupe-colored high heels. 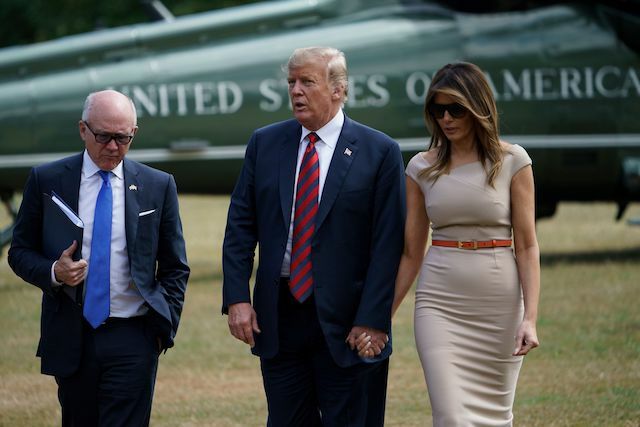 The first lady and the president then took a helicopter ride to where they will be staying, the U.S. ambassador’s residence, the Winfield House, in London. 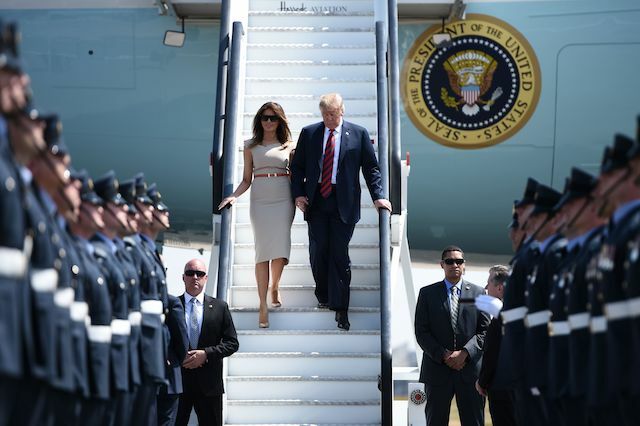 The president’s trip to the U.K. will include talks with Prime Minister Theresa May, tea with Queen Elizabeth II on Friday and then a trip to Scotland. FLOTUS will host her own separate event, meeting with veterans and school children as an extension of her “Be Best” campaign that she launched in May. According to a post by a CNN reporter, the first lady appeared to be wearing a sheath dress by designer Roland Mouret.